Maca (Lepidium meyenii) is a root-like cruciferous vegetable from the Andes of Peru. It grows in some of the harshest farmlands in the world; experiencing freezing temperatures, fierce winds and intense sunlight. Often the soil is rich in volcanic minerals. Maca is the only food crop in the world that can grow and thrive at such a high altitude and in such harsh weather. For more than two millennia, native Peruvians have used Maca root as food and medicine to promote fertility, endurance, energy, vitality, and sexual virility. Stories of Maca’s fertility-supporting effects have been passed down through history in a story that took place in the 1500s. Soon after the Spanish Conquest in South America occurred the Spanish began to experience poor health and infertility, and so did their livestock. This was due to the high altitude of the Andes. The native Peruvians recommended that they feed their livestock and themselves Maca. The results were so dramatic that many of the first written records ever kept for the Andean region were passages about Maca. There are also historical notes recording that the Conquistadors began demanding to be paid in Maca instead of gold. In a 2014 clinical study of mice in the Journal of Clinical Food, Maca extract (doses: 250 and 500 mg/kg) was found to reduce corticosterone (and adrenal corticosteroids) levels, increase noradrenaline and dopamine levels, and inhibit reactive oxygen species (ROS) activity (oxidative stress) proving it’s antidepressant-like effects. Too much estrogen in men may cause erectile dysfunction, lack of libido, low sperm count, and lowered production of seminal fluid. Studies shared of in Healthnotes by the University of Michigan have shown that men who use maca may experience an increased libido and an increase in sperm health. A small, clinical, human study in 2001 in the Asian J Andro, nine men who were given gelatinized maca for 4 months at 1,500 – 3,000 mg a day and experienced an increase in libido, sperm count, motility of sperm, DHEA levels, as well as decreased anxiety and stress, lowered blood pressure, balanced iron levels, and an increase in adrenal androgens. Click here to shop Fertilica™TM Maca Root. When purchasing maca, you want to make sure the product you are using has only maca root in it, not leaves or stems. Maca is available in powder, capsules or tincture. It is also available in varying strengths. Maca powder: Maca powder comes in two forms. Plain maca powder that is just raw powdered maca root, or gelatinized maca. Gelatinization is a completely vegetarian process that removes the starch from maca to improve assimilation and make it more concentrated. We find that gelatinized maca is easier to digest than the plain powder and is also more cost-effective since it is more concentrated. The studies mentioned above used gelatinized maca. Gelatinization does not refer to “gelatin”, and no animal-derived ingredients are incorporated into this process. Maca powder can be added to juice, smoothies, yogurt or baked goods. It has a nice malty flavor which goes well with foods. I like to add it to all of my smoothies. Maca capsules: Maca capsules are a convenient way to get Maca daily. Many people will find using the Maca capsules to be easier since they can be taken at any time with some water. Maca tincture: A tincture of maca root is a liquid extract of the medicinal properties of maca. Maca tincture can be taken with water, in juice or added to smoothies. General suggested usage is 500-3000 mg a day. To obtain desired results, maca needs to be taken regularly. It can be taken in one dose or throughout the day. Note: Maca is slightly energy stimulating and because of this we find that it is best taken prior to 3pm, so that nighttime sleep is not disturbed in any way. Maca is a beneficial herb that has been used for thousands of years and consumed everyday as a food and medicine by the Peruvians. Based on its long history of use as a food, it appears to be very safe. Toxicity studies (conducted at Product Safety Labs of East Brunswick, N.J.) showed absolutely no toxicity and no adverse pharmacological effects. A small number of women experienced stomach upset when consuming plain maca root (not gelatinized). Additionally, some women experience spotting or a change in their menstrual cycle when they first begin using maca. This is normal and a sign that the body is beginning to balance the hormonal system. As a safety precaution most manufacturers state that their supplements should not be used during pregnancy. There have been no studies on the use of maca during pregnancy. Acute toxicity studies and cytotoxicity evaluations have demonstrated an absence of any evidence of potential toxicity of maca. The Peruvians have been consuming maca as a food for thousands of years. Since there have been no studies on the use of maca during pregnancy we can not state that it is proven safe to use during pregnancy. Please do your own research and make a personal decision on the use of maca during your pregnancy. As you can see from all the actions maca can have on the body, it is a wonderful fertility superfood and tonic. Maca can complement any fertility program and should be used on a daily basis for the best results. It can also be used in conjunction with other fertility herbs and supplements. Walker M. (1998). Effect of Peruvian Maca on Hormonal Functions. Townsend Letter for Doctors and Patients; 11: 18. Hi, I stopped taking the pill middle of january and have still not had a period, can i take maca to help me encourage one?we want to start ttc but im concerned as i haven’t had a period as of yet. Maca can be included in a natural fertility program to encourage hormonal balance after stopping birth control. Consider learning more from our guide How to Balance Your Hormones After Birth Control. Hello. I am TTC for 4 years. I have uterine fibroid. Can i use Maca? If you feel you may benefit from Maca, it not contraindicated for women with uterine fibroids. I don’t have any infertility that I know of, But I would love to have twins, I currently use Maca Power in my tea but can only do about 1 tablespoon, for the taste is overpowering. I was wondering how much I would need to consume on a daily basis to have better chances to achieve my goal, and possibly any other ways to consume the regular maca powder that will not overpower the food or drink it’s mixed with. While I’ve love to be more positive, there isn’t valid evidence that any herb (including Maca) or natural therapy can increase one chances of having twins. General suggested use of Maca for fertility support is 500-3,000mg daily. I am 47 years old. Can I use Maca to achieve pregnancy and child birth with donor sperm ? I just wondering if I could still use maca for unexplained infertility? Yes, Maca can be used by women with unexplained infertility. When using Maca powder, how much powder (1tsp, 1Tablsp ? ) equates to 500-3000mg? It will depend on the product. Fertilica Maca Poweder provides 2.7g or 2,700mg in one level teaspoon. Maca can be taken with a prenatal multivitamin and Vitex in preparation for pregnancy. Hi, Hethir, my acupuncturist says not to take maca because previously, I had a short luteal phase (just 9-10 days). It is more normal now. I’ve been seeing my acupuncturist for over a year and taking herbs provided by her, and my cycle is now normal (ovulate around day 14, menstruate around day 29). My acupuncturist says that maca will shorten the luteal phase. Can I get your thoughts on that? I am 45 years old, and my husband and I are near the end of our fertility journey. We had a miscarriage in March at 9 weeks that was very disappointing and have not been pregnant since. Thanks. There are indeed many schools of thought. We haven’t seen evidence in our work or research that Maca (Lepidium meyenii) directly impacts luteal phase length. I am so glad you have seen wonderful results through your program. It seems best to stick with it as suggested, rather than modify it without support. There may be no need for Maca. Keep up the great work! I am 30 year old and have been trying to conceive since 6 months now. My usual cycles are 32 days which sometimes reach till 35 days. I don’t have PCOS or thyroid problems. My AMH is 4.44 ng/ml. I wanted to know if I can use Maca roots to help me conceive since I don’t have any known hormonal problems as such. And if yes, is 500 mg per day is enough to begin with and shall I take it throughout the cycle or only till ovulation? My husband has healthy sperms too, so can he also take it or no need as of now? Given what I know, Maca would be fine. It is best to start at the lowest suggested dose and work your way up from there as you feel the need. General suggested use is 500-3,000mg daily. Men can take Maca too. 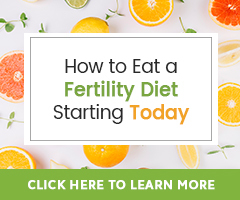 It will also be important to learn your fertile window (the three days before, day of and day after ovulation) each cycle so that you can be actively trying to conceive during this time. Can maca power increase endometrial thickness? I am suffering with endometrial thickness problem can you please help me who i can improve it naturals . Maca is known to support hormonal balance and in turn a healthy uterine lining. We would not rely upon it alone though, so please take time to read our guide Thin Lining of the Uterus: Build the Uterine Lining Naturally. Hello and thank you for this program. I am requiring about the Maca Powder System. Would the Black Maca Powder will be best for getting pregnant and or the Yellow Maca Or Red Maca. The three of the Maca Powder has its variety reasonings, but to conceive a healthy baby is my concerns and being healthy with the products. Please email me back and do let me know for sure. I am so excited and ready to start. We suggest the use of the golden or yellow Maca, Lepidium meyenii. Red and black Maca can interfere with healthy thyroid function, something we don’t want to happen. Can you start to take maca when your not on your period or do you have to initially start when you start your period? It is fine to begin taking Maca at any time of the menstrual cycle. I have been taking maca for 2-3 years – for fertility purposes and now I like it for all the other benefits I have tried to “ween” off over the past few months (my fertility doc wants me off for IVF) and been having horrible hormonal migraines – I have started to slowly start taking it again – any specific tips for cycling on and off maca? If you are going to cycle off is it best to do in the early phase of menstrual cycle when hormones are low? It is hard to find good info on “cycling on and off” and “weening” Thank you for your thoughts! Our herbalists on staff do prefer to guide women to wean off of Maca early in the menstrual cycle. Perhaps this is worth a try. Work to stay hydrated while weaning, consider learning about magnesium for migraines should they happen again and you need support. I hope you are feeling hopeful! I have been taking 1000mg of Maca in tablet form for 1 month for fertility reasons. I read that one should take a break from the Maca. Some resources say take a break every 2 weeks. Others say take it for 3 months and then take a 1 month break. Is this necessary? Or should I just take it until I become pregnant successfully? We do not know this to be necessary for Lepidium meyenii when trying to help the body return hormones to balance. The Natural Fertility Shop sells Fertilica Maca products. Click here to be taken to the Natural Fertility Shop. Hello Elizabeth! I wanted to ask: I have started taking Maca as well as Vitex, because I have noticed low progesterone levels in my luteal phase. Will these two supplements compliment each other or compete? I started seeing a fertility doctor and discovered that I have an underactive thyroid (I am currently prescribed hormones). Hormone balancing is a priority for me! 🙂 Thank you! Maca and Vitex do indeed complement one another. It is going to be best to ensure your doctor knows you are taking Vitex and Maca and approves. He/she is the only one who can adjust your medication dose should that be necessary as the body begins to rebalance. I’ve been trying to get pregnant for a while after having a miscarriage last year and started taking a large teaspoonful of maca daily 3 months ago. I have noticed that my periods have been lighter but longer, but I have also had spotting in between and ovulation has been later (around day 16-18). I have recently gone through fertility testing and my results came back fine but when I asked the consultant about these changes she advised to stop taking the maca. My GP also advised the same thing but neither knew anything about maca. I have pretty much stopped taking it on this advice but have since read that this can be common. I’m just unsure what to do. Is it ok to take less frequently? How have things changed since stopping Maca? General suggested use is 500-3000mg daily, so certainly cut back and try that if you feel you still want to take it. If I use maca in my smoothies should I still take the pill form? One could, yes. It is best to start with the lowest suggested use of 500mg and work up from there; up to as many as 3,000mg daily. Maca can be taken until first determination of pregnancy and then slowly weaned off of. It is important to know that so many herbs don’t yet have clinical studies, so if wishing to continue herbs in pregnancy, it is best to do so under the direction, supervision and care of an naturopath, herbalist or midwife. Should you take maca every day of your cycle or just up to ovulation? Fertilica Maca can be taken all cycle long without taking a break. What colour maca is recommended? I have read that red is ideal for women however when I purchased it, the label reads “Red” is ideal for males. I have both red and black and a combination of all 3. I figured i will buy one for my husband just not sure which is one is best. We suggested Lepidium meyenii which is golden Maca. It is often best to choose gelatinzed Maca as well. Gelatinization is a process that removes the starch to prevent digestive upset. There are other varieties of Maca as you have found that have a variety of other colors; red, purple and black. The darker varieties red, purple and black do contain higher amounts of iodine, which may not be good for some thyroid problems; this has not been linked to the golden variety that we use in our FertilicaTM Maca. Could the pills be taken by Males too? Doctor said husband Sperm count is low. Yes, males can use Maca. Should I take Maca even I have period? That is entirely up to you. Maca offers many benefits for libido, energy and fertility. It can be taken by women who menstruate regularly. I have been taking Maca for almost two months. I have seen an increase in CM and libido, but on my second cycle I ovulated CD 10 and got my period on CD 18. I had been ovulating CD 13 and CD 27 period. Should I stop taking Maca? Thanks! I am glad you have seen changes. Given what I know so far, it may be best to continue Maca to let the body have a bit more time to balance. So many thing scan contribute to cycle shifts and often if the herb/fertility superfood is the cause, the cycle will balance out within 3 cycles of use.